Published by: Nintendo, 1992 | Developed by: Game Freak, Inc. The player controls Mario or Luigi and tries to keep blocks with monsters inside that are falling from the top of the screen from piling up so high that they reach the top. Mario and Luigi attempt to prevent this by switching the different columns of enemy characters back and forth so that they are positioned under different falling objects. 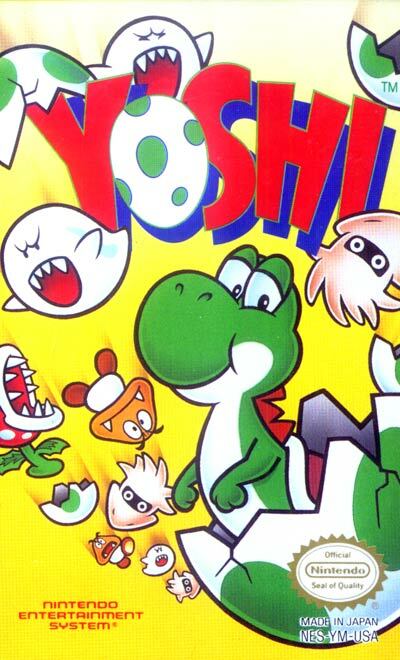 If there is a chain of monsters within two yoshi egg shells, the egg shells will merge and a Yoshi will form, adding points and eliminating a group of monsters. The larger the chain of monsters between the two eggshells, the larger the Yoshi that is created will be. In Europe, this title is known as "Mario & Yoshi".